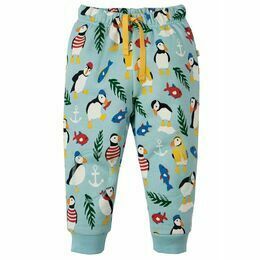 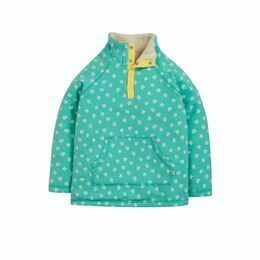 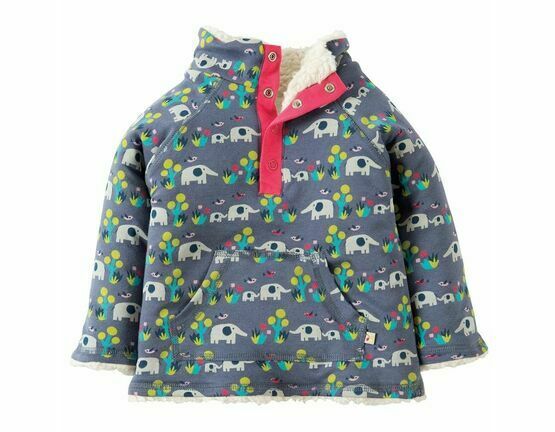 A cosy reversible fleece in Frugi's fun Elly Savanna design featuring elephants on a soft purpley grey background. 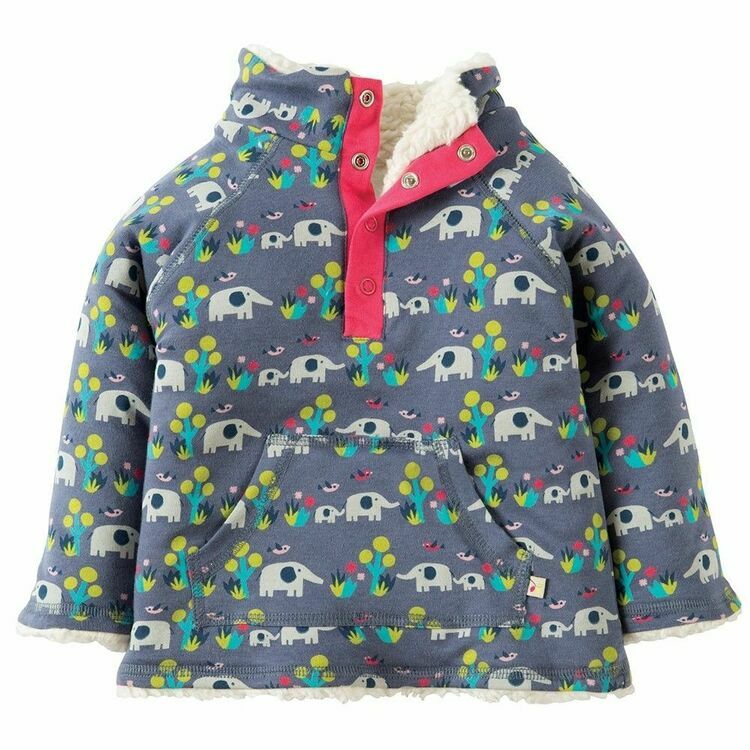 The reverse is a thick creamy snuggly fleece which is super fluffy and warm. 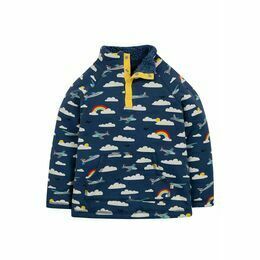 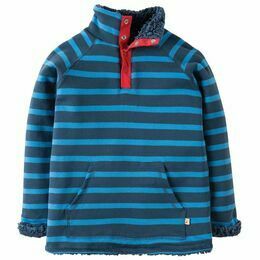 The organic cotton sweat fabric is really soft and there is a pocket on the front, and a placard with poppers at the neck for easy dressing. 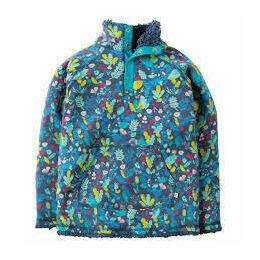 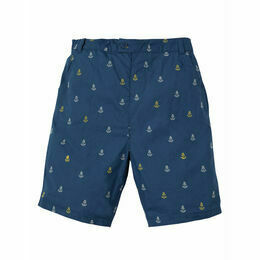 An essential for an active child who spends lots of time outdoors!